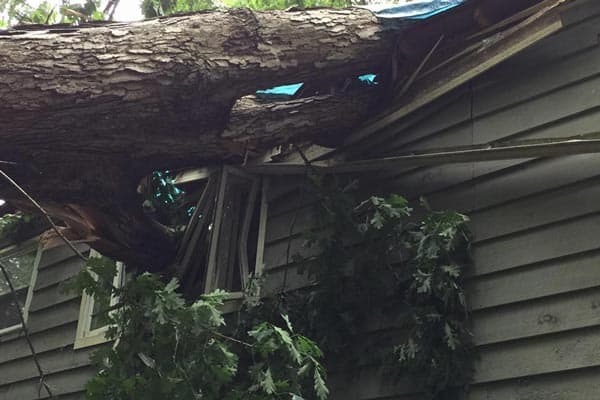 Typically caused by a storm, wind and tree damage to your home caused by a storm can be covered by your insurance carrier depending on your insurance policy. Most standard homeowners insurance policy’s cover damage done by tornado, windstorms and hailstorms. Check your policy for limits and details. If the tree is still on your house you will need to call a tree removal company to help you with that. You should also make sure your house is safe to enter if the tree is still on your house. 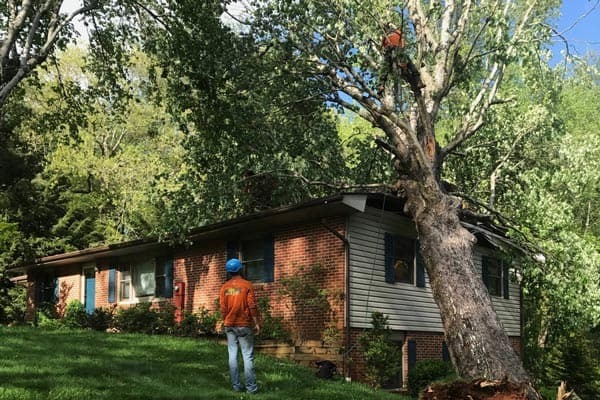 Once the tree has been removed, Kidd’s Restoration Services can begin to help you with temporary and long term board up depending on severity of tree damage. 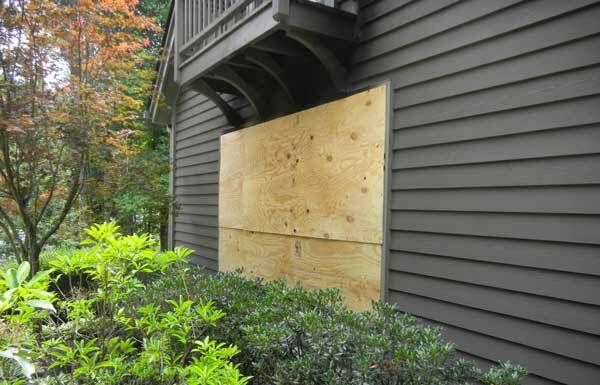 Kidd’s Restoration Services provides emergency tarp and board up services 24 hours a day. When you have a tree fall on your house you are also exposed to outdoor elements such as rain causing more damage to your home or business. Insurance policies typically require the homeowner (policy owner) to be proactive when it comes to preventing any secondary damage. So if you ever have a tree on your home, it is smart to have any exposed areas of the house properly covered with a tarp by a professional board up company like Kidd’s Restoration Restoration. Kidd’s Restoration is a local central Virginia general contractor that will respond 24/7 and be able to be on site in most cast within 1hr. Call us today for service in Lynchburg, Roanoke VA and surround areas. Once your home has been properly tarpped, Kidd’ Restoration Services can begin evaluating the rest of your home for other leaks and water damage from the initial tree damage. One of the ways we do this is with our thermal camera which can detect differences in temperature in your home’s walls and ceilings. If something is wet, it will show as “blue” and cold on the thermal camera. Possibly indicating an area of concern.